Nice staff, available and welcoming. our room wasn't clean. We were 3 people with only sheets for 1 bed and 1towel. Having stayed at the next door 'down market' F1 hotel before I decided I would 'upgrade' to the IBIS budget - BIG MISTAKE. I HAVE NEVER STAYED AT SUCH A POORLY MAINTAINED FILTHY DISGUSTING HOTEL BEFORE!!!! I am still covered in bites from all the insects that crawled out of the matress and fed on me - YUK!! Suffice it to say I will be taking this up with Accor hotels group. The staff is very friendly and helpfull, the hotel is located rather in a distant district, closer to Orly Airport then Paris, however it is 15 minutes by walk to the nearest RER station. The hotel needs some reconditioning and there is no air conditioning in the room, but still it is a good value for money when you are looking for a simple budget room with a toilet. Hello, We thank you for your comments following your stay at ibis budget Villeneuve le Roi. It is with great pleasure that we receive your compliments. Also, we will not fail to share your appreciations with our entire team. Your satisfaction is the greatest reward for our staff who work day after day to offer you an irreproachable service. Looking forward to welcoming you again soon in one of our establishments. Best regards. 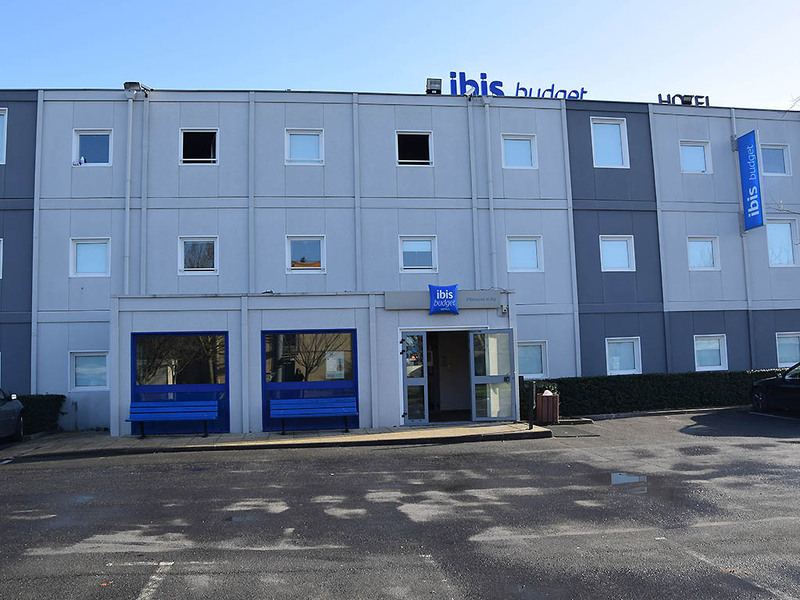 Your ibis budget hotel Villeneuve Le Roi. I found this hotel in really bad conditions. The room smelled as dirty water was used to clean de linoleum floor. Bad experience with employees. On second day I found people from outside the hotel staff working on my room. All over was a mess, noisy of drilling and hammering so no chance to rest. Smell was really horrible. Windows couldn't close hermetically so lot of noise from outside and from planes passing over the building. I've changed 3 different rooms in two days. No one was properly clean or comfortable. This is an ex-Etap hotel. The hotel room looked okey, it is what you may expect for this price. However, there were stains on the bed sheets, we are couple and ordered a double bed instead of a twin bed, and I also burned my arm under the shower because the shower faucet was falling apart while turning on the (very hot) shower... The receptionist is very indifferent and does not understand any word of English at all.